04 « January « 2016 « Nothing in Biology Makes Sense! The world of scientific publishing is incredibly competitive, not just to publish (a lot) but to publish in high profile journals. 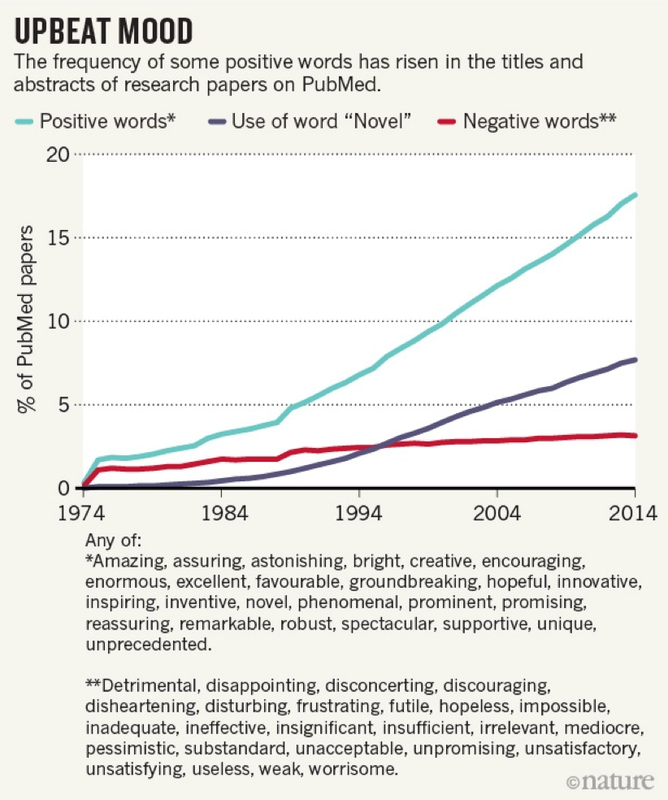 So it’s not entirely a surprise that words that excite, such as “unprecedented,” “amazing,” “groundbreaking,” and “promising” have been used with increasing frequency in titles and abstracts of scientific journals. A team of researchers from the Netherlands has quantified the rise in hype by looking at papers published in the PubMed database between 1974 and 2014. Read about it over at Vox. or read the original paper here.